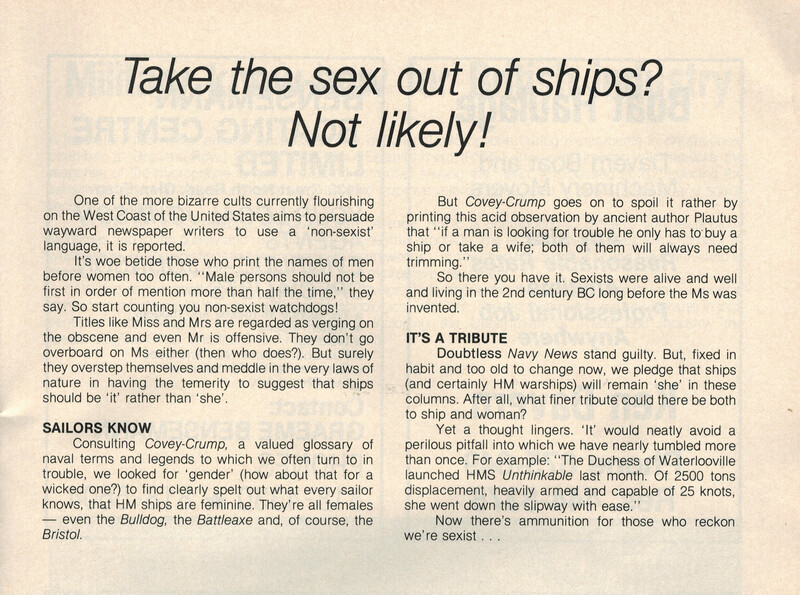 This article was taken from NAVY TODAY June 1981 edition. Interesting!! Hell they would have to change the launching ceremony “May god bless all who sail in it” reduces the ship to being an inanimate object like an Army Tank or a crabs Aeroplane. This is a load of uncorrect rubbish.